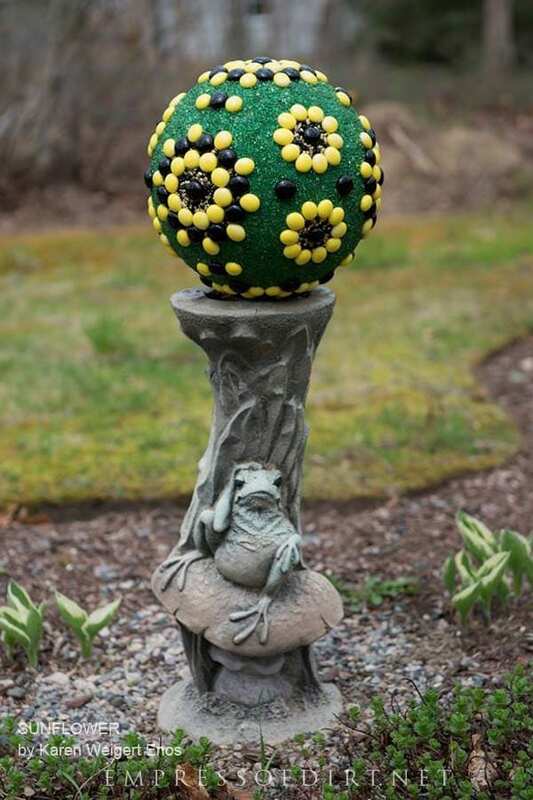 If you love gazing balls, these garden art orbs made from bowling balls add a new level of artistry. 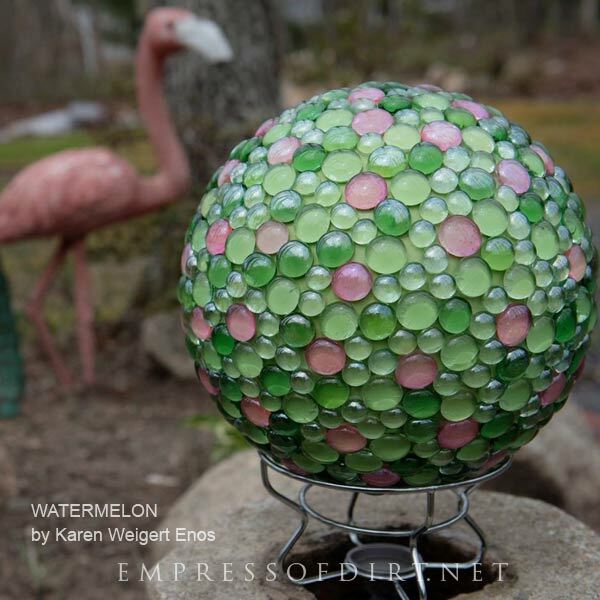 They are one-of-a-kind creations by Karen Weigert Enos to give you ideas for your own garden balls, or, you can purchase them through her Etsy shop. 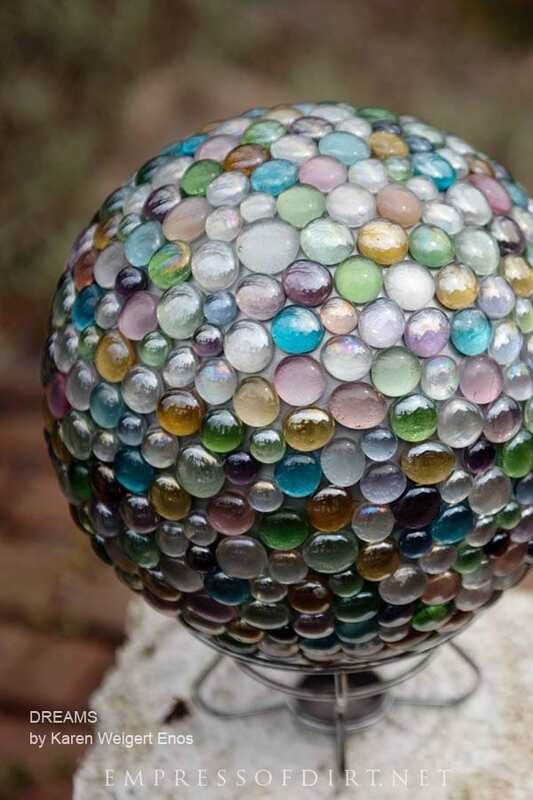 If you want to make your own, this tutorial, How to Make Decorative Garden Art Balls, shares everything you need to get started. 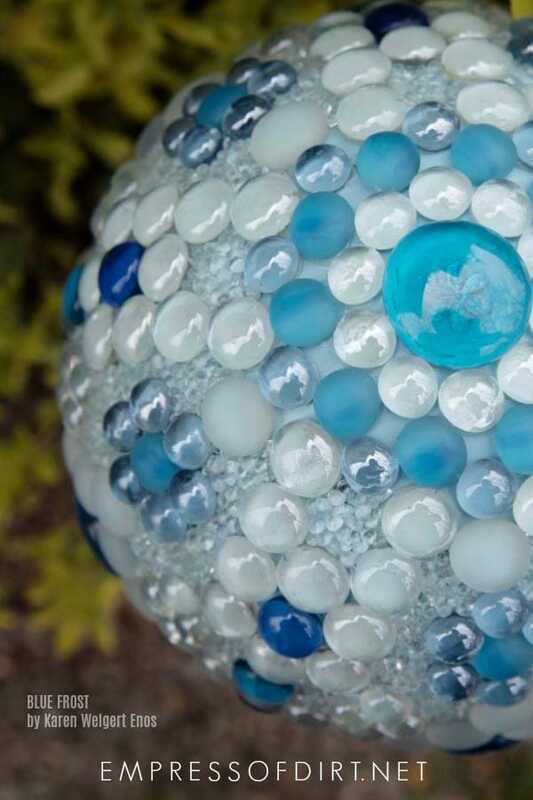 If you’ve been here before, you know the wonderful garden art of Karen Weigert Enos. 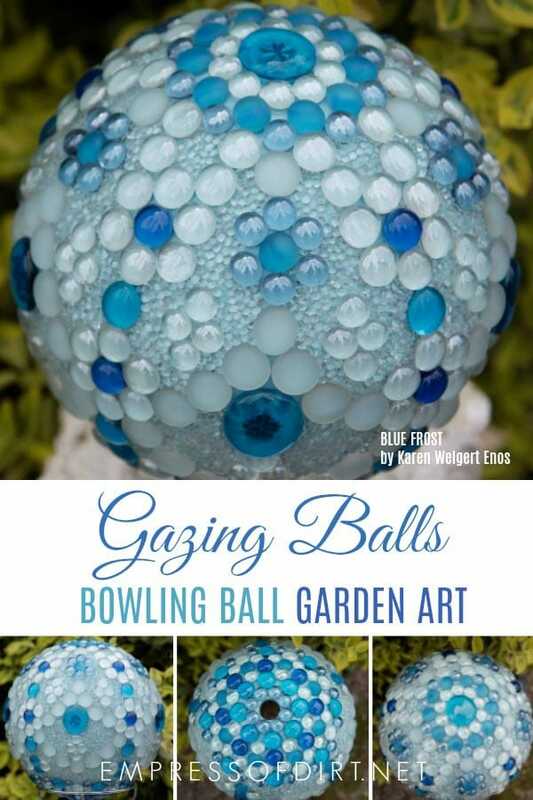 She creates these one-of-a-kind gazing balls from bowling balls. I love how she picks a theme—watermelon, sunflowers, dreams, frost—you name it!—and dives deep into the colours, textures, and character. These new pieces are available for sale in Karen’s Etsy shop. If you are even thinking of getting one, act swiftly. Each one is indeed unique and there aren’t duplicates. 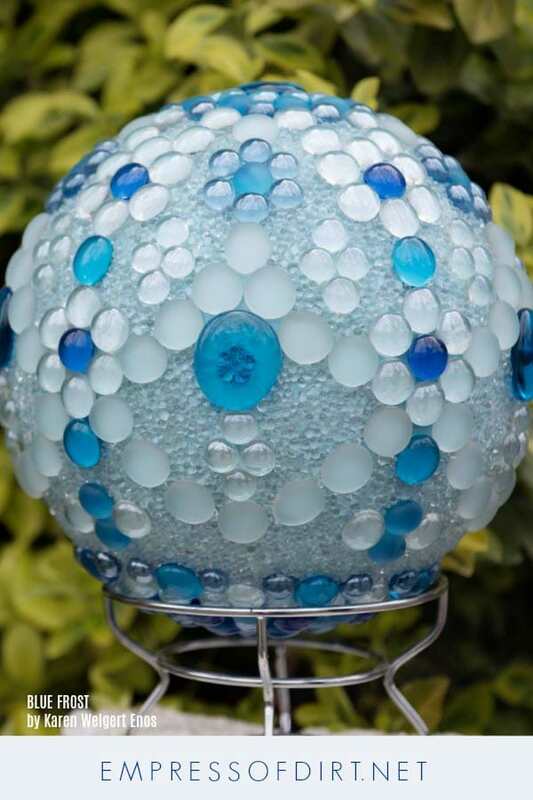 Karen spends hours (and hours) to create these pieces and you can see how meticulous her work is. As someone (me) who tends to be a bit impatient with art-making, I have tremendous respect for the care she takes. The results are clearly worth the effort. Let’s have a look at the new art. 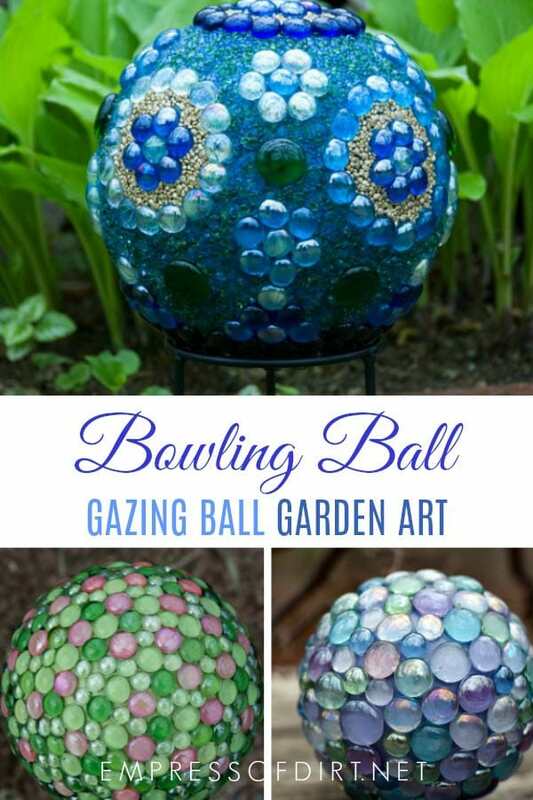 If you want to make your own, Karen shared some of her gazing ball tips here, and I’ve also got complete instructions for making garden balls here. First up is Blue Frost. See what I mean about the charming themes? You can find this one here on Etsy. This Sunflower garden art would look quite perfect in a garden next to real sunflowers. You can find it here on Etsy. How beautiful are these colours? You can find it here on Etsy. This one is fun. Notice how Karen first paints the bowling ball in a colour that suits the theme. This is a good tip if you are making your own. You can find Watermelon here in the Etsy shop. I hope you enjoyed them. 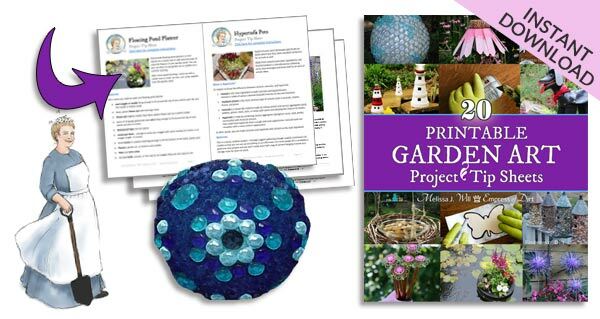 There’s lots of ideas for making your own, or just go ahead and buy a gardener a lovely gift.